COMMENTS : I have seen this style everywhere but not in petite sizing. COMMENTS : Stunning! Can we have this in other neutral colors as well? Black, grey and beige? COMMENTS : I have never had a blouse like this but would love one! Beautiful! COMMENTS : This style does not look good when proportions are for standard sizes. I have always wanted a blouse like this. Is it possible to have it in cream as well? COMMENTS : I don't like tie-neck blouses, so this is not one for me. Practical point - I know when I lean over a cup of coffee, those tie-ends are going to dip into the cup. Not a good look. 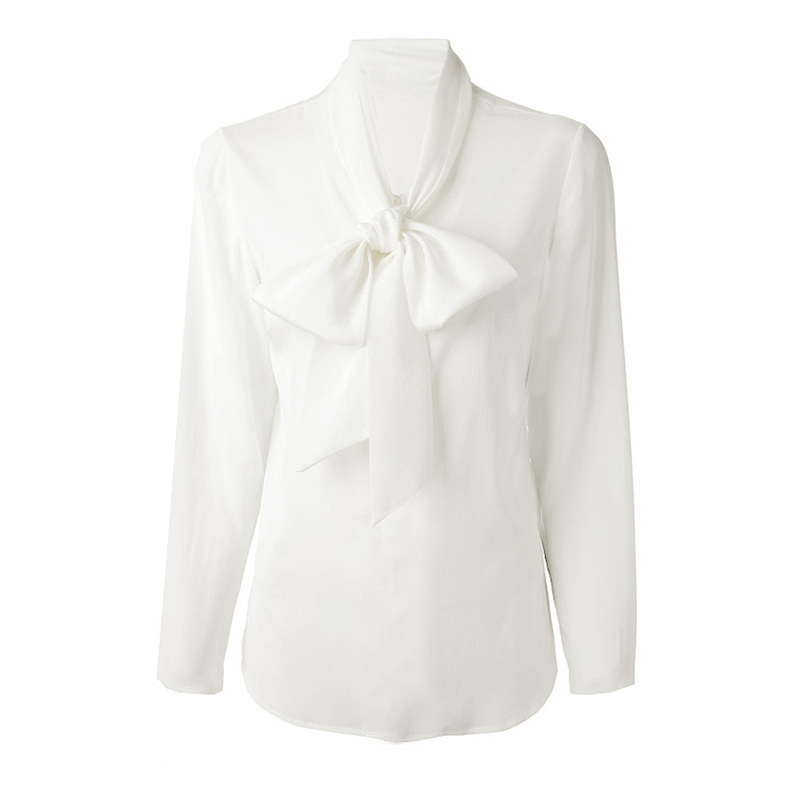 Nice blouse for those less messy than me. COMMENTS : Yes please ,love a good tie neck blouse, the Carmen is one of my favorites and this looks great too - more please! COMMENTS : This would be awesome in a delicate print or color. COMMENTS : This is lovely but if you have a larger bust like me, you cant wear bows or frills over that area or it makes you look too top heavy, especially if your waist is narrow.